Woodland and Naugatuck will look to make waves next week when the league comes together at Kennedy High School in Waterbury for the NVL championship meet. The diving competition is Thursday with the swim finals set for Friday. Woodland comes in with a shot at finishing high on the leaderboard. The Hawks are 12-1, their best record since 2011 when they finished third in the league championship. The Hawks, whose only loss came to undefeated Seymour, are armed and dangerous led by seniors Dia Gawronski, Brooke Pope, Kyla Drewry and Jordan Williams. 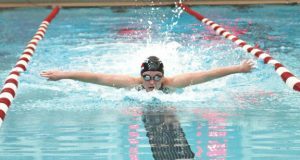 Woodland also possesses a steady core of divers in seniors Madie Hoxie and Julianna Bartolucci and junior Adrianna Byczko. Woodland is counting on a strong senior class and the continued development of underclassmen, like sophomores Casey Brooks, Morgan Swift and Alexandra Rojcov, to stay in the running for an NVL title. Naugatuck (6-4-1) comes into the meet a much improved team from the beginning of the season. Naugatuck will rely on the experience of seniors Stephanie Almeida, Meghan Messier, Katie Meyer and Jaimee Trumbley to keep the team focused. The Greyhounds have gone through some growing pains marked by injuries, and some of the younger girls have taken on bigger roles. 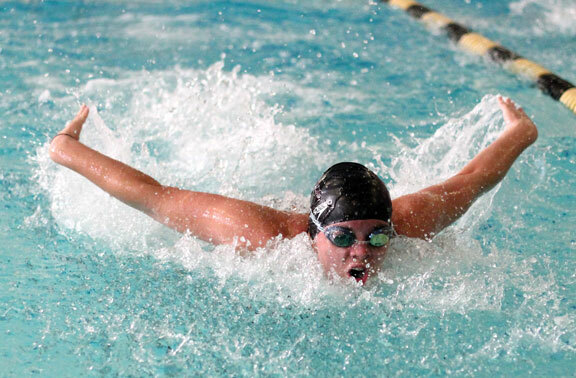 Naugatuck is not as deep as some of the other competitors at the top of the league, but the Greyhounds have their share of talented swimmers that can bring home a gold medal, including sophomore Molly Kennelly and freshman Katelyn Fortney. The Greyhounds have quality depth on the diving board with juniors Katie Brown and Brin Battisti, both of which could garner a top spot. 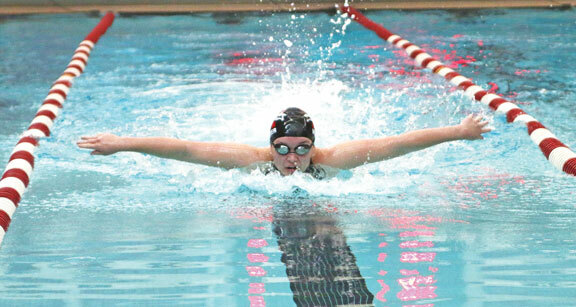 “We will be ready to swim a championship meet,” Naugatuck head coach Jim McKee said. “They see their times drop and they know they are improving. It’s easy to look over and see the fast swimmers on the other teams. But in a championship meet you can’t get intimidated because you are really swimming against yourself. The entire goal is to just go out there and better your own time and not be too concerned about what anyone else is doing.